Interested in the KBOP if it's in 1/2500 scale and not just a repop. Were was I when this announcements was made?? Man, any and all of these choices in 2500 would be a treat, even if I already have some of these in resin. Not to jinx things or anything, but if R2 has thrown it out there that they're considering the Excelsior Class, KBOP and Oberth as a new Cadet offering, the chances are really good that it's going to happen eventually. Finally, it would be weird for R2 to announce a 1000 AGT Galaxy or a Nebula when there is no standard Galaxy Class kit in that scale. Read into that what you will. Yes, they do have one, but the KBoP in the Adversary set is 1:1400 scale, according to the box. It's 3.25 inches long, which is way too big for the Sacred Scale. The Gizmotron kit of the Early Bird of Prey is only 1.5 inches long. I think I have couple of TMP-era BoPs as well, and they're about the same size. I would love to see the Excelsior/KBoP/Grissom set. 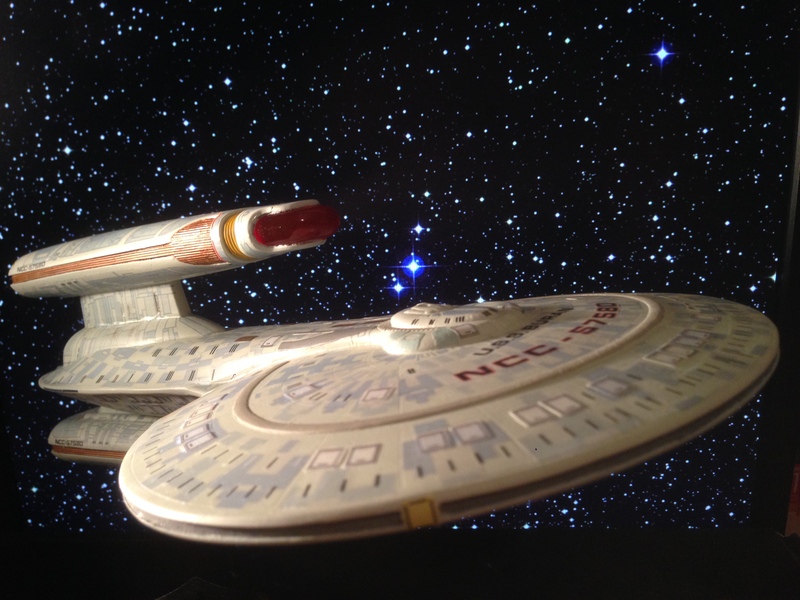 While I would like to see both the NX-01 and Voyager done - they are both series hero ships, putting them together and adding the Stargazer just seems to be an odd combination. Another one I would suggest would be a Klingon set, add the Qo'nos One (K'tinga with new decals) the KBoP and Vor'cha. Lonewolf wrote: Yes, they do have one, but the KBoP in the Adversary set is 1:1400 scale, according to the box. It's 3.25 inches long, which is way too big for the Sacred Scale.